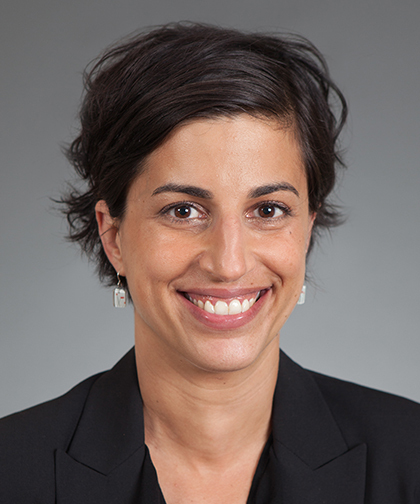 Elissa Z. Faro, PHD, is the Associate Director of Pediatric Quality at Children's Hospital at Montefiore (CHAM). She is also an Assistant Professor of Pediatrics in the Division of Academic General Pediatrics and an Associate Director of Global Health at our Albert Einstein College of Medicine. Dr. Faro joined CHAM in 2016. Dr. Faro earned her undergraduate degree from Vassar College, then went on to receive her Master of Arts degrees in Anthropology and Archaeology, and a Doctoral degree in Classical Art and Archeology from the University of Michigan, Ann Arbor. As a medical anthropologist, her research focus is understanding the role of culture in health and health care, and using quality improvement and implementation science to reduce health disparities and improve health equity. Among her many roles, Dr. Faro teaches and leads quality improvement projects at CHAM and is also Co-Investigator on the National Institutes of Health-funded Environmental Influences on Child Health Outcomes project, which studies how environmental factors affect child health and development. She is also the Co-Investigator on the Agency for Healthcare Research & Quality-funded Pediatric Quality Measures Program Learning Collaborative; a qualitative methods specialist on the National Institute of Allergy and Infectious Diseases (NIAID)-funded Einstein-Rockefeller-CUNY Center for AIDS Research (CFAR) project; and Improvement Advisor on the Tiger Foundation–funded Quality Improvement Project to Implement HealthySteps Learning Collaborative. Dr. Faro is a member of the Society for Applied Anthropology, Society for Medical Anthropology, and the American Anthropological Association.